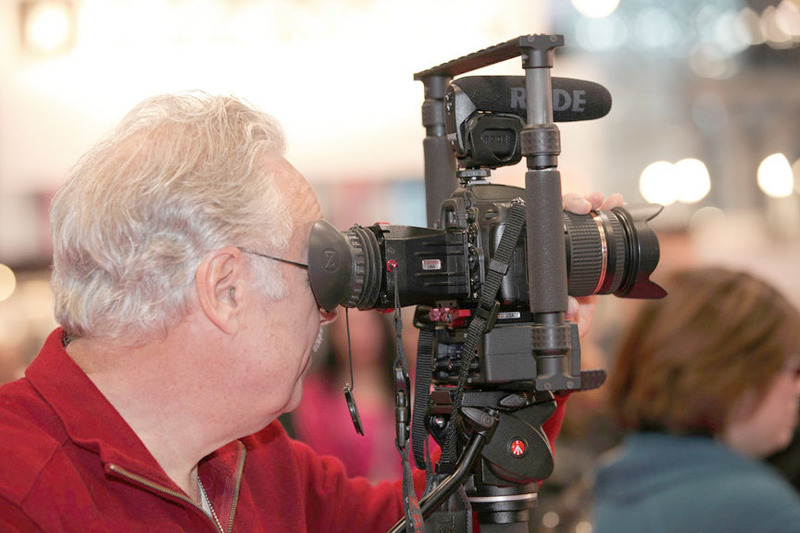 As many of our members and readers know, I have been” lecturing” about the need for all photographers to begin to use their DSLR cameras to shoot video. Whether it is to add some excitement to a presentation, or to expand the scope of the work they are now doing, by adding live footage of an event they may be covering. For the past two years I have gone through the learning process of using my Nikon D7000 as a video camera. In the beginning of my education, I shot in the auto mode on the camera and as I progressed, I realized that was not good enough for the assignments I was covering. I cover many trade shows in New York and travel quite a bit, so I really needed to up my game to get it right. I was still lacking one very important item, an optical viewfinder for my LCD display. I was on an assignment sponsored by Royal Caribbean International. We agreed I would do a video and article on one of their largest cruise ships the Independence of the Seas. The year before I did one for Holland America Lines on their newest ship the Nieuw Amsterdam you can see how much my videos have improved from one year to the next. Shooting stills was easy using the cameras viewfinder, but impossible in these lighting conditions trying to shoot video using the LCD screen that was black in the sun. I was using a small optical magnifier that I used to use for viewing slides and negatives on a light table to adjust my focus while the camera was mounted on a tripod, but I found this low cost solution was not only difficult and time consuming, but didn’t work at all in full sunlight. I had to put a towel over my head for the final scene in the RCL video in order to focus and shoot my final passenger interview. I vowed to get an optical viewfinder because I realized that if I wanted to produce professional quality videos it was essential. While covering the PDN PhotoPlus Show in New York , I was interviewing Jeff Seidel Director of Sales and Service at OmegaBrandess Distribution. While fumbling with focusing and my little magnifier, Jeff pulled me over to show me the Zacuto Z-Finder which they distribute to photo dealers around the country. He showed me how easy the unit fit on my camera and how it would enable me to shoot on the go, get fast accurate focus, and how beneficial it was in shooting in any lighting, both in low and bright conditions. I knew this was a must have for not only my projects, but for all of our members and readers looking to increase their skills and income by shooting video too. As all of us know, it is extremely difficult trying to focus or shoot in challenging conditions, especially if you are a Run-And-Gun shooter like me. Looking at a 3″ LCD screen on the back of a camera is, well, not the most accurate way to shoot. I had problems with the auto focus on the camera, I tried every conceivable setting and recommendation by Nikon, but never got it right. Try to manual focus yourself while looking at your LCD screen and you will understand that is virtually impossible to do especially in a low or bright light situation. So now that I had my sound problems under control, I needed to work on my video and the Zacuto was the solution. After my challenge on the cruise ship, I decided to contact Jeff at Omega Brandess and have him request the Z-Finder Pro 2.5 for my use and this review. Right out of the box, I was impressed. One installed and one additional Anti-Fog disc. This also acts as a lens protector and is expendable. Additional lens protectors can be purchased on their website. They also have anti-fog wipes. 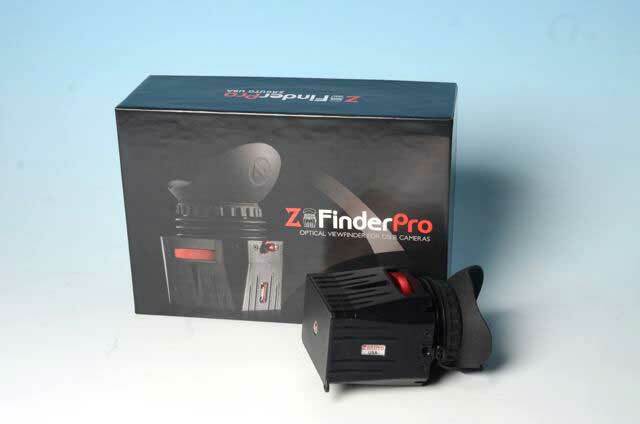 The Z-Finder Pro 2.5x is an optical viewfinder that allows DSLR camera users to be able to shoot video with ease. Z-finder attaches to the camera using a unique mounting plate and frame configuration that will then accept the optical viewfinder. We tested their Pro 2.5x model on a Nikon D7000 camera and found it to be effective and easy to use because it enlarges the LCD image by a factor of 2.5, so you can see every detail for pinpoint focus. It has a diopter adjustment wheel so you can dial in the focus with an extended range of -4.75 and up. This makes it especially useful for those of use who are nearsighted. They also provide stackable frames that allow the user to add one or more frames to handle problems for users, like me. The frames extend the glass away from the cameras screen. I needed to attach two frames (they supply 3) and found that I didn’t need to make any other adjustments. The diopter adjustment wheel could have been used to fine tune the focus, but wasn’t necessary and the factory settings and the frames did the trick. Getting the proper set up on this is quite easy. You click on your cameras menu and focus on the letters there. Once set you are good to go. 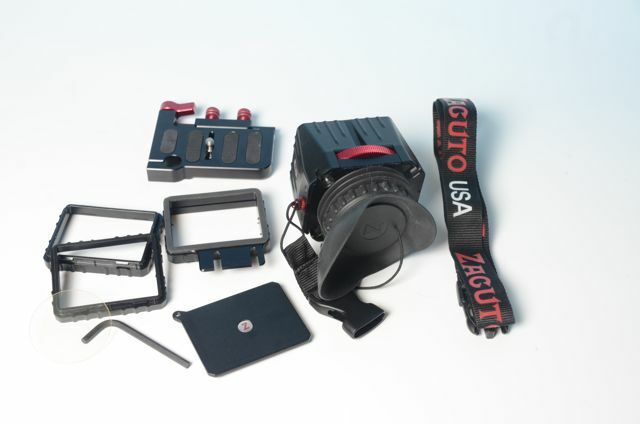 The Zacuto kit comes with a few neat items. Since many of us tend to leave the viewfinder on our cameras, when shooting in full sunlight, we forget that the optical lens acts as any magnifier in the sun and can burn our cameras LCD screen. To prevents this one has to remember to use the attached lens cover and cover the lens opening after use. 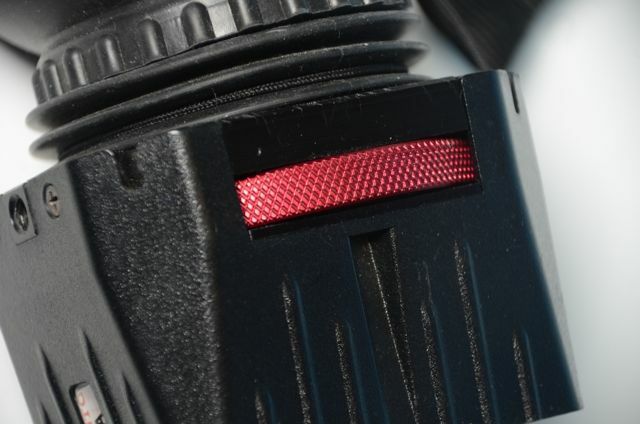 Zacuto also included a black matt protective sun mask that further reduces the light entering the lens and an anti-fog coated plastic protective disk as well. The heavy duty rubber eye cup is comfortable and even wearing my glasses I found it easy to use. 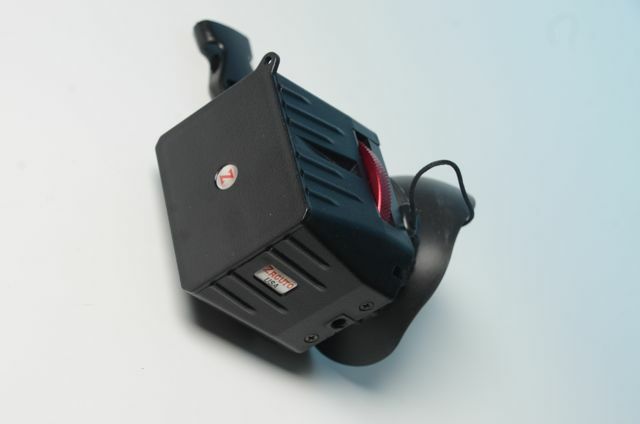 There is a protective rubber boot on the unit as well and virtually eliminates the chances of any dust, dirt or moisture from entering the unit. The finder also has a nice fitting protective cap for the large opening on the unit, which offer even more protection when stored in your camera bag. You will find it much easier to shoot your videos because the Z-Finder offers an extra degree of handling comfort and a crucial point of contact between the camera and the eye, which of course adds stability to your handheld videos. For those not familiar with the term “point of contact” let me explain. The more points of contact you have with your camera the greater the stability. If you were shooting a photo with the viewfinder to your eye, you would have three points of contact. Your two hands, one on the lens and one on the body and the viewfinder to your face and eye. Stable for great photos, but when you are looking through the LCD display you only have two points of contact and getting steady video is difficult at best. I often use my cameras neck strap, extended out so it is tight around my neck and that adds another point of contact, but is hard on the body and my neck is always sore after an assignment. When you add the Zacuto Z-Finder you add that third point of contact back which now gives you the same stability you had shooting your photos and no neck strain. If you add one of their support rigs it would add one or more additional points of contact. This is important for those videographers who are run and gun and can’t set up a tripod because time or practicality won’t permit it. The Z-Finder Pro attaches without any effort to your camera with the included Gorilla Baseplate and the Z-Finder 3″ Mounting Frame . The Baseplate attaches to the bottom of your camera using a ¼ 20” screw and has ¼ 20” screw holes underneath to attach a tripod plate. Then you attach the metal Z-Finder Mounting Frame to the Gorilla Baseplate using the two red thumb screws. Cover plate protects unit when not in use. The Z-finder itself pops on and off the Z-finder Mounting frame so it is fast and easy to switch from the video mode to the photo mode, which I found very convenient since I use my single camera to shoot both when on an assignment. 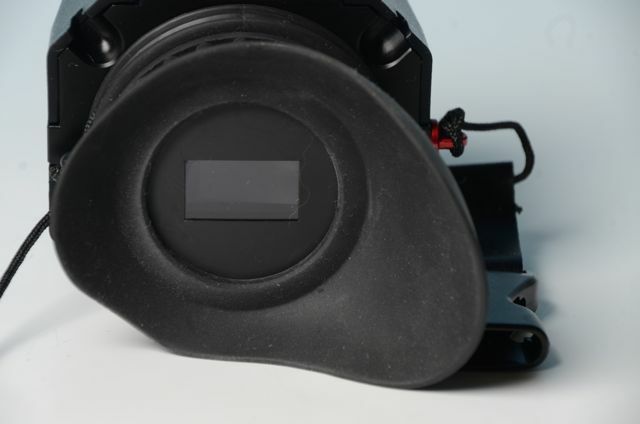 The metal Z-Finder Mounting Frame has an attached rubber gasket to prevent scratching or slippage while on the camera. It is also easy to remove the entire mounting frame from your camera. You loosen the two thumb screws and pull the mounting frame off. It comes with a well made lanyard so when you detach the unit from the camera it can hang conveniently around your neck. Note! For use with taller-bodied cameras such as the Canon 1D Mark IV and Nikon D3S, an optional Z-MFT mounting frame is required. 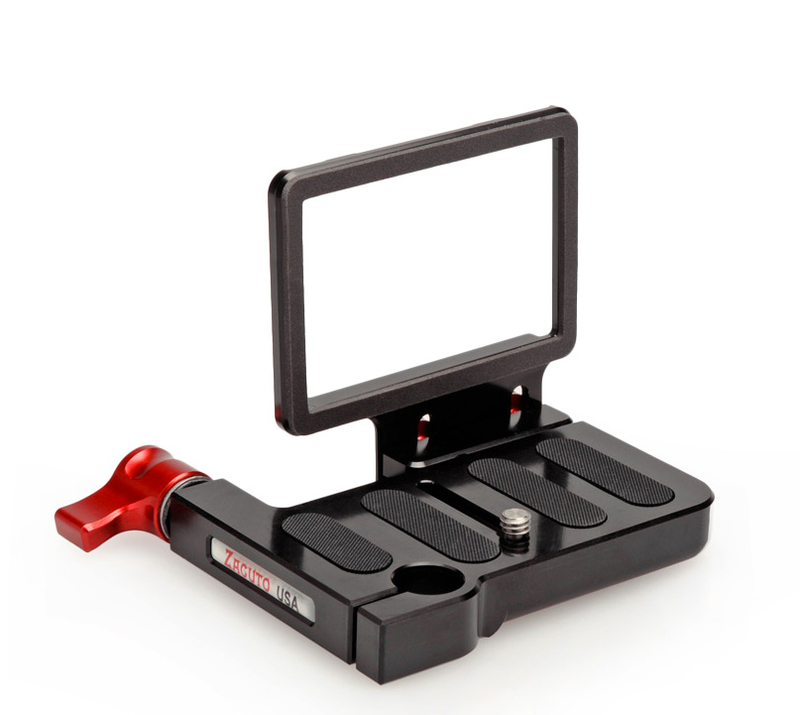 Zacuto has a complete line of Z-Finders for almost any camera, with a 3″ and the now the popular 3.2″ LCD screens. You can find more information and compatibility on by clicking the ad to the right. While you are there, you can see their extensive, well made line of gear, I am sure you will be impressed. The Z-Finder Pro 2.5 is $395 and you can purchase it by clicking on the ads in this article at the Zacuto store. It is also available at OmegaBrandess Distribution directly and most better photo retailers both stores and internet and at B&H Photo (see their 145 consumer reviews) and Amazon.com. You will also find that every website that has consumer reviews, has rated this this the best viewfinder on the market, we would have to agree.